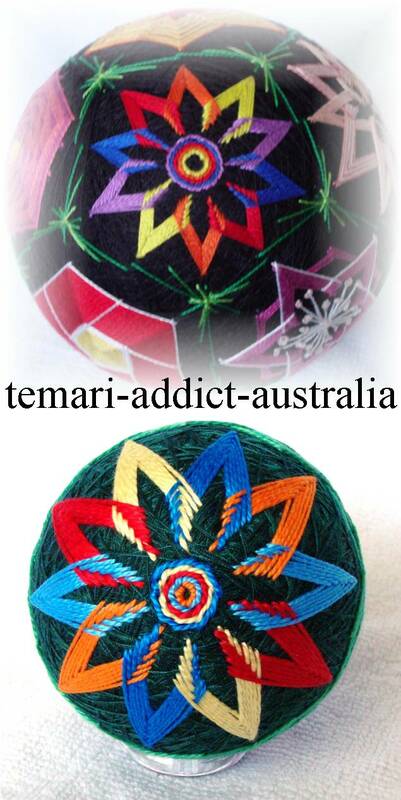 I tried something totally off center for the next two temari flower patterns. I've probably seen something like this somewhere but I'm not entirely sure. It think it is a kaleidoscope of rainbow flower petals. When I finished the petals on the design I didn't like the open space so I added the concentric rings of stitching to the middle. Then I thought "Super Mario flowers". I'll share the Obi and the other design on the S10 in my next post.